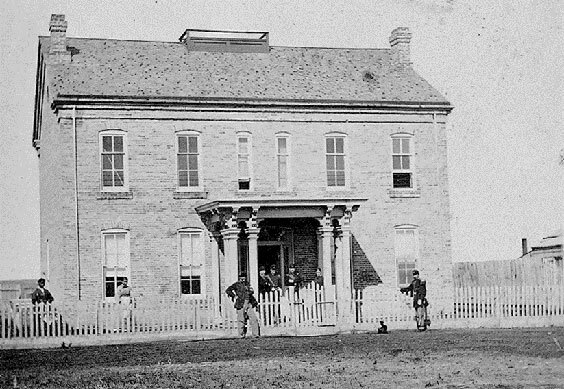 Fort Totten State Historic Site, on the south-east edge of the town of Fort Totten, features a dozen or so brick buildings, all with distinctive columns lining the front porches and entrances. Unfortunately, many of these columns had succumbed to rot and water damage over the years and were in desperate need of preservation. The original military fort was built of logs in 1867 and replaced with buildings built using locally made bricks in 1868. 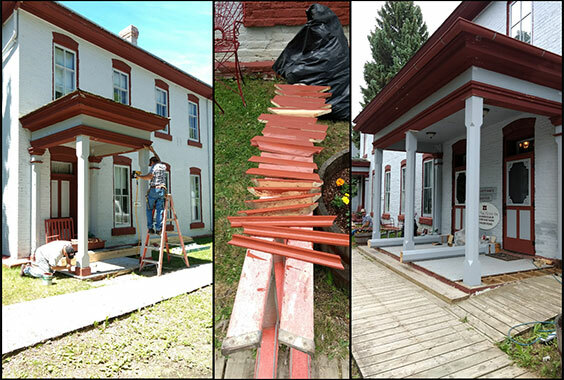 These original bricks and the wood columns require regular maintenance and care. The columns at Fort Totten had started to rot and were in need of restoration. 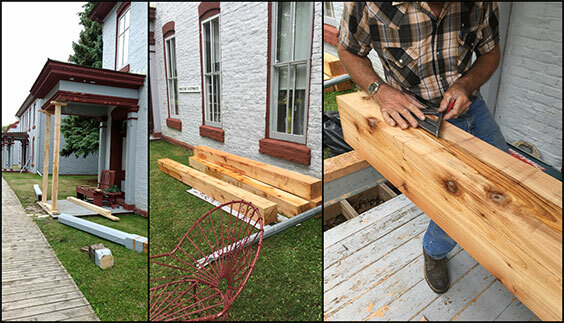 This summer, we replaced 7 columns. 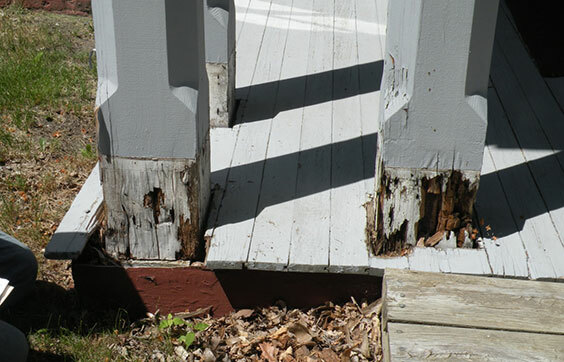 To replace the columns, the existing rotten columns were removed and the porches shored up temporarily. Large fir beams were hand cut into the distinctive tapered shape of the historic columns at Fort Totten. The footers at the base of each column were then poured and the columns painted to match the historic colors. Although likely overlooked by most visitors, the columns at Fort Totten are an important architectural feature of the site and well worth restoring. 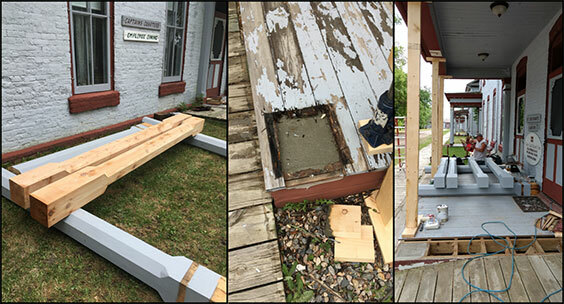 Restoration work is an important aspect of our preservation of historic sites at the State Historical Society of North Dakota. 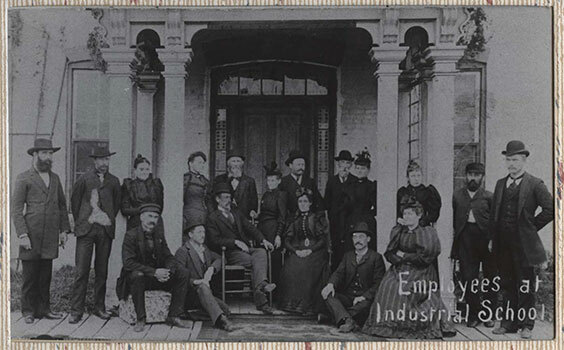 We invite you to visit Fort Totten and admire the craftsmanship of our newly restored columns.